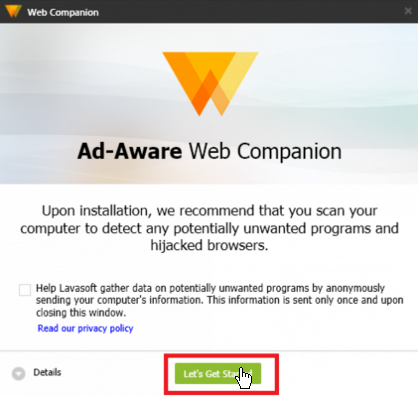 Since past few years, many Windows Users are getting a software program called Ad-Aware Web companion installed on their computers without their knowledge. In most of the cases Lavasoft web companion get’s installed on a user’s computer without his permission. Many user’s don’t even know that What is Web companion ? Should i remove it ? and How they can uninstall it. In this article I’m going to clear all your all your doubt about What actually web companion is, and How you can uninstall web companion from your Windows pc completely. What is Web companion ? Should i remove it ? The Lavasoft or Ad-Aware Web Companion is a Computer Software program made by Lavasoft Company. The distributor Lavasoft claims that this tool protect’s a user from hijacking and provide protection to his computer from cyber attacks. Wikipedia has claimed that Lavasoft has started hiding some hard to uninstall software’s and getting it’s users tricked to install them on his computer. Web Companion is also changing user’s browser homepage and setting’s. After we notice these kind of specious behaviour from Lavasoft Ad-Aware Web Companion we consider it as a Malware. If lavasoft web companion installed itself on your computer we advice you to remove it right now. You may also like to read about What is Url:Mal and How to remove it. How did Lavasoft web companion get installed on my computer ? How do i prevent Web companion from getting installed on my computer ? Whenever you install any free tool or software on your computer, check carefully on every step and uncheck the web companion option. Install good Antivirus on your computer. You will not see Web Companion inside Program and Features, but It will be installed on your Computer. Even After removing all of it’s programs settings will not be reversed which was changed by it. How to Disable and Remove Web companion from my computer ? 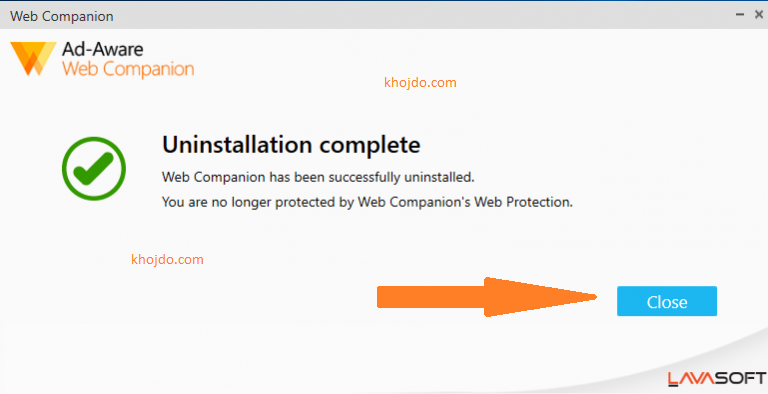 Below I am providing you a complete tutorial about how to uninstall web companion. Click on Program and features and Find Web companion on the list of programs. Highlight Web companion and Click Uninstall to start removal process. Check the Restore my Browser homepage settings and Restore my browser search settings checkboxes. Click close Button after completing Uninstall process and restart your Computer. After coming back from reboot Click on windows button and Search for regedit. Now click on regedit (Registry Editor), Expend all registries and delete all the registry settings related to Web companion (If you are not comfortable with manual registry removal you can install and run registry cleaner, to remove broken or junk registry settings automatically ). Note: Deleting Wrong Registry settings can hurt your computer, Take a backup of your registry settings before deleting them. Remove Web companion Settings and Extensions from Browsers. 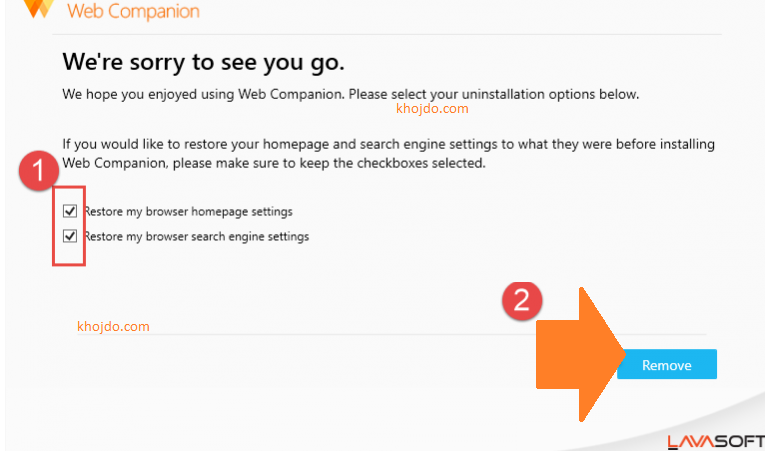 After uninstalling Web Companion, there will be Web companion Extensions and settings left in your browsers, Follow below steps to remove them. Now disable or remove all the suspicious Extensions from there. After Disabling your Extensions again enter this url in your Url bar chrome://settings/search . Now change your search engine to default. Push Ctrl+Shift+A buttons at the same time. Now Click on Extensions and disable or remove all the suspicious Extensions from here. After Disabling your Extensions, Enter this url in your Url bar and hit Enter about:preferences#search . Now Change your search engine settings to default or google. Push Alt+T buttons at the same time. Under Toolbars and Extensions Disable Web companion or any Suspicious Extension. After Disabling Extensions, Now Click on Search Providers, select Google and then click close button. Now you are done, Thanks for reading my article about What is webcompanion Should i remove it ? and how to Install Lavasoft Ad-Aware Web Companion from your computer. If you have any other query or suggestion, you can feel free to comment below. Thanks for that. Very useful. I don’t know how I managed to install that program. U didnt install it Paul, it installs itself. Some spying walware or whatever. Totaluninstaller and malwarebytes cant remove it… it keeps coming back. And yes I removed it from the list of extensions.